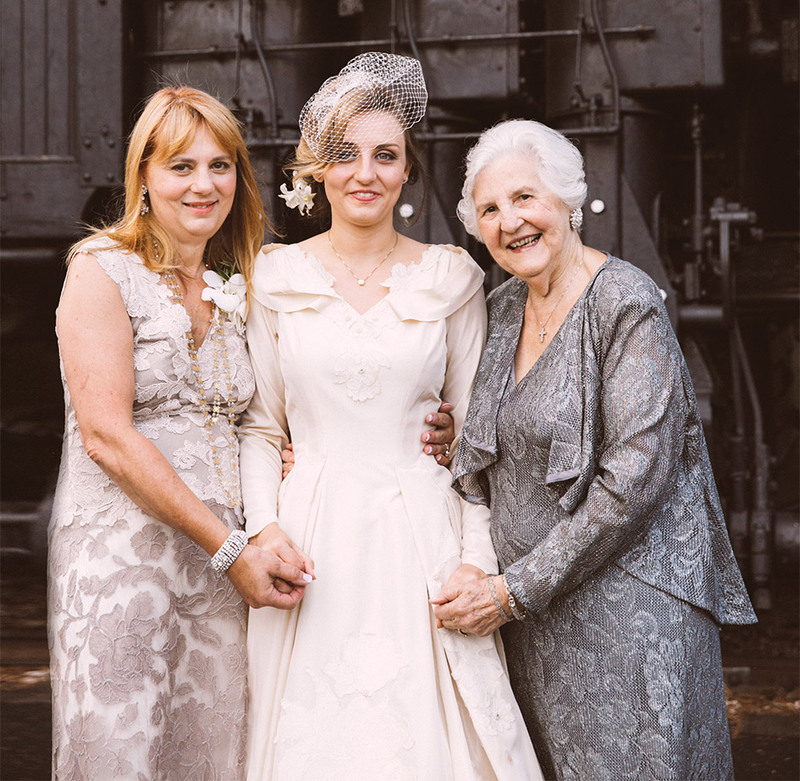 It all began in 1956, when Helynn Skoko Starr, grandmother of Raleigh Hills resident Veronica Medici, chose an ivory silk peau de soie princess-cut wedding gown with French Alençon lace appliques to wear for her nuptials. The dress, which had been carefully preserved over the years, made another jaunt down the aisle in 1981, when Medici’s mother, Sara Starr Medici, slipped it on for her own wedding. 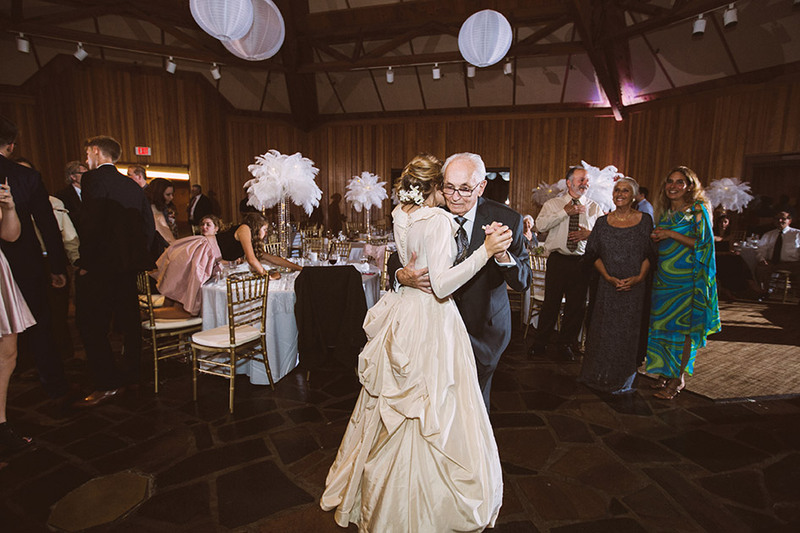 Despite a few stains down the front from Champagne-fueled merrymaking and lace that had yellowed over time, the elegant gown made its third trip down the aisle last August at Veronica Medici’s ceremony, which was set to the theme of a 1940s New York supper club and took place at Southwest Portland’s World Forestry Center. 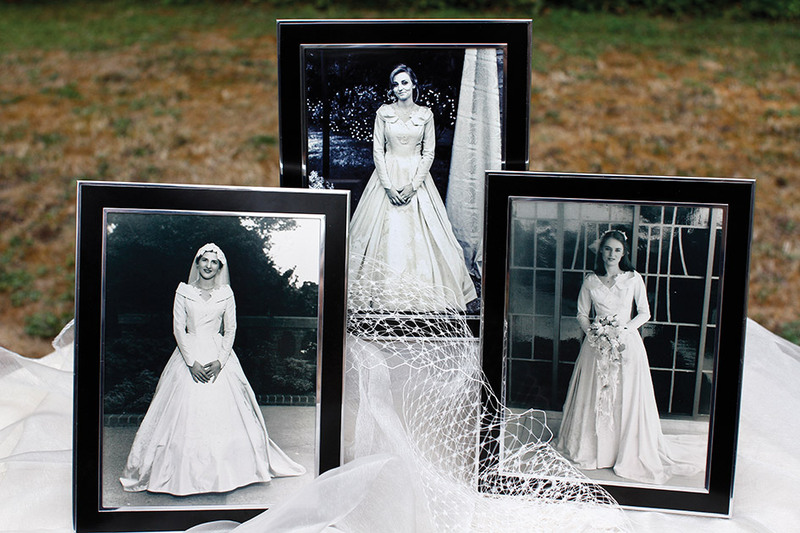 To restore the dress to its original glory, Medici and her mother enlisted Alexsandra Gambino of Alexsandra’s Vintage Emporium in North Portland, who specializes in tailoring vintage bridal gowns. “She has extensive experience with vintage textiles,” says Medici. 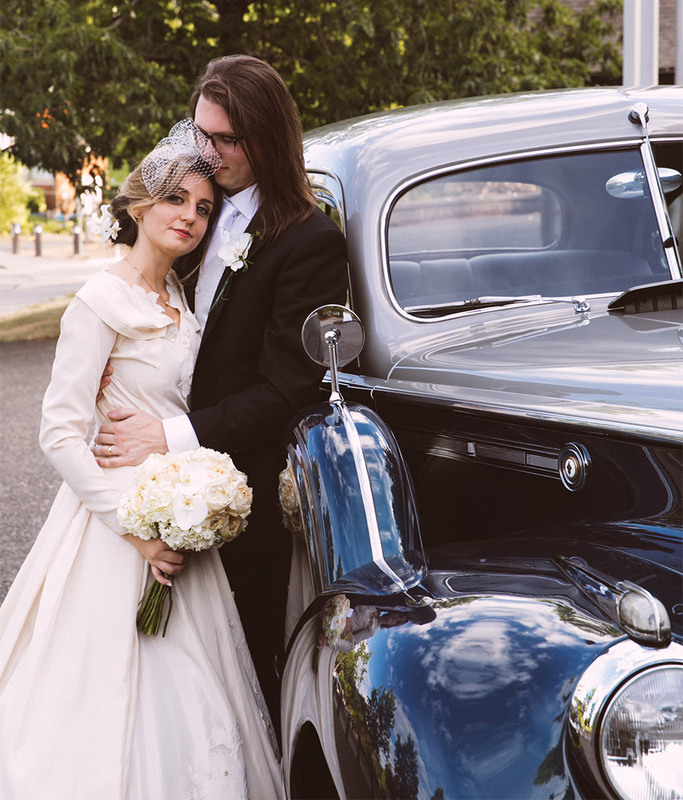 Medici’s love for celebrating the past appeared in every element of her wedding: Her invitations were designed in the same classic style that her mother and grandmother chose for theirs; she wore her great-grandmother’s engagement diamond in a necklace; and the getaway car was a 1941 blue-and-silver Packard. The vintage dress is now preserved and ready for its next adventure. “So far, it has begun a combined 97 years of marriage and counting,” she says. Something borrowed, indeed. If you ask us, there's nothing more heavenly than an all-white wedding. In honor of Cinco de Mayo, we're celebrating with a fiesta-worthy palette of tangerine and turquoise! 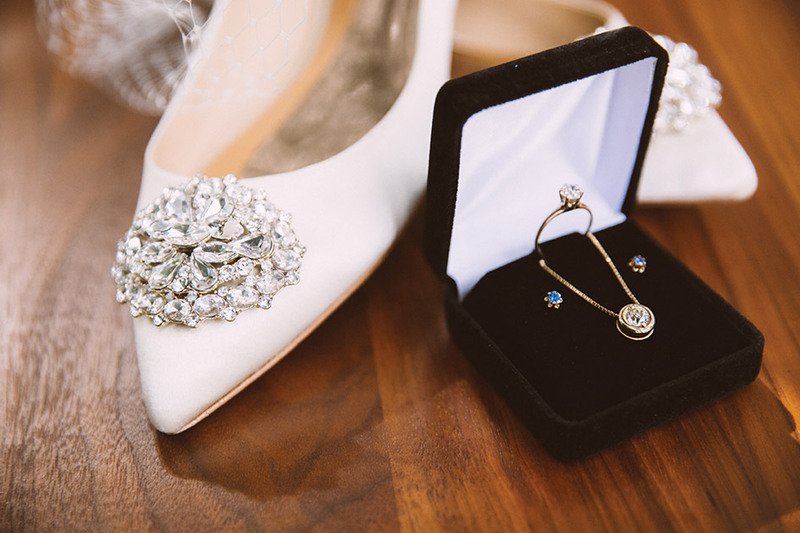 The "something blue" tradition is usually seen on a garter or handkerchief, but these days brides are going bold with blue! We love the idea of giving classic traditions a modern twist.